Here's another idea for using the Poinsettia stamp - as December's tag for a Calendar. 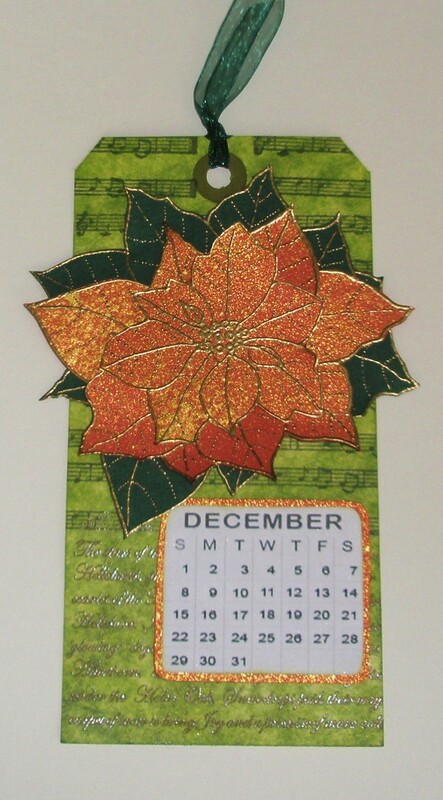 I've gold embossed the large Poinsettia stamp from Oak House Studio twice - once on green card for the base and again on red card sprayed with Glorious Gold Ink in a Bottle. . For full details and to check out all the projects go to the Oak House Studio blog and see other projects on the One Stamp facebook page. Thank you everyone for looking and for your comments. It's been an enjoyable weekend and I hope you've been inspired! A wonderful idea and a beautiful tag.